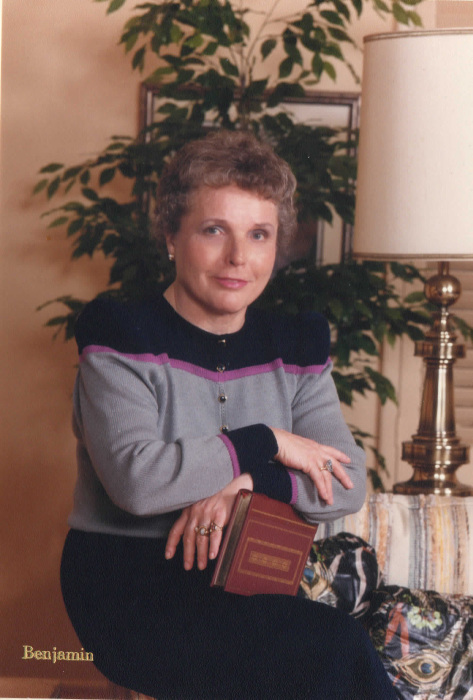 Nancy Joanna White Perry (Jo) passed away on November 12, 2018. She was born to Thomas Bronson and Doris Bacon White on December 12, 1931 in Olean, New York. The family moved to East Orange, New Jersey for a few years before finally moving to South St. Paul, Minnesota where she grew up, graduated from high school and earned her Associate Degree in Nursing from the Bethesda Hospital School of Nursing in St. Paul, Minnesota in 1952. She was looking for adventure so she moved to Denver, Colorado and started her nursing career at the Colorado General Hospital when she met Charles R. Perry on a blind date. She told her roommate after that date she was going to marry him and boom – 6 months later they were married! They both learned to snow ski in Colorado, enjoying that recreational sport well into their 70’s. When Charles completed his service in the U.S. Army they decided to move to Odessa, Texas while she was expecting their first child, Elizabeth. They built a home and 2 years later prepared to welcome their second child, another girl they named Diane. Tragically they were unable to bring her home as she was stillborn at full term. They waited another 2 years and brought home their third child Thomas, and decided their home was too small and moved into a larger one. Two years after that they brought home their fourth child, Nancy. Jo spent a large part of her adult life working with drug and alcohol addicts, and on programs to prevent alcohol and drug abuse. Her efforts were recognized by Texas Governor Mark White in 1985 when he appointed her to a term as a Commissioner on the Texas Commission on Alcohol and Drug Abuse (TCADA). While serving on the TCADA, she served as Chairman of the Grants Committee where she oversaw the grants totaling hundreds of millions of dollars to various detoxification centers, rehabilitation installations, and programs for the prevention of alcohol and drug abuse. Jo also served as an ordained Elder in the Presbyterian Church, in the Junior Service League in various officer, board and committee chair capacities. Jo had a love of reading and surrounded herself with books. She also enjoyed completing the crossword puzzles that were in the daily newspaper which she also read from front to back. She also loved spending time at their mountain home in Ruidoso, NM and collecting Indian artifacts and jewelry. As the years went by she began to slowly lose her memory and was diagnosed with dementia in 2008. Generally, people with this affliction do not live very long. She maintained a fairly active life with the help of new medications until the last three years, when the decline became so significant that in-home care was required and later a memory care facility in Odessa. She later moved to another home closer to Nancy’s home in Salado, Texas while Charles moved in with Nancy and Peter. Jo was preceded in death by her husband Charles, her daughter Diane, her parents Tom and Doris White and her grandson David Perry Rowe. She is survived by her brother Robert Thomas White (Kaye White), 3 children and their spouses, Elizabeth Ann Perry Sewell (Richard W. Sewell), Charles Thomas Perry (Ruth Deal Perry) and Nancy Marie Perry Eaton (Peter Eaton) and 5 grandchildren and their spouses, Lauren Diane Sewell Henderson (Brian Henderson), Charles Alexander Perry (Amber Perry), Andrea Ruth Perry Abbott (Samuel Abbot), Shannon Elyse Sewell Wade (Blake Wade), Wesley Thomas Perry and Claude Cleveland McCutcheon IV. She is also survived by 5 great grandchildren, Charlotte Kay Perry, Blair Grace Henderson, Josephine Grace Perry, Annabelle Therese Wade and Kyle William Henderson. The family is very thankful for the staff’s outstanding care they gave Jo at Arbor House in Temple, where she lived until the end. They treated her as if she were their own mom. Many thanks to Kindred Hospice for the wonderful care they provided to Jo during the last months of her life. Memorial services will be held at 10:30 a.m. on Monday Dec 10th, 2018 at Westminster Presbyterian Church, 4901 Maple Avenue in Odessa, Texas. In lieu of flowers the family requests donations be made to Alcoholics Anonymous – Basin Group, Alzheimer’s Association, the Salvation Army or the charity of your choice.